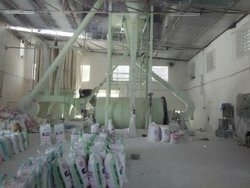 Shanu Minerals Industry, incepted in 1992 has emerged as a leading manufacturer and exporter of a diversified range of Industrial Minerals. 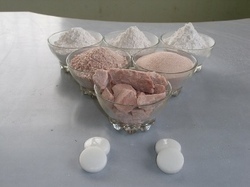 We are renowned for our wide range of products which include Feldspar Minerals, Industrial Minerals and Minerals Powder. Our products are known for their excellent efficiency, high durability, easy to install and high performance. We offer quality products at very competitive prices, ensuring value for money to our clients. Moreover, we procure superior quality raw material from reputed vendors and proffer customization facility as per their requirement. Our ethical business practices and customer-centric approach has won us accolades from our esteemed clientele. With state-of-the-art facilities equipped with latest machines and dedicated professionals, we are poised to deliver international standard quality products at the most affordable rates. We make sure that our offered range goes through a stringent quality check process after it is manufactured. Our adept specialist, efficient workforce and matchless resources enable us to serve the demands of customers with quality solutions. Moreover, our easy payment modes, ethical business policies, wide distribution channel and on time delivery schedules has given us a competitive edge in the market. Our company is constantly progressing under the leadership of Mr. Bhupendra Garg (Manager), who has always encouraged new ideas of manufacturing to offer a better quality of products to our clients. Being highly experienced in this domain, he is the ultimate source of inspiration for our team. Introduction: Shanu Mineral Industries is a world leading supplier of industrial mineral solutions, full prepared bodies and glazes for the sanitary ware, tile and tableware industries, with a competitive offering for engineering ceramics, glass, construction and other non-ceramic related markets. 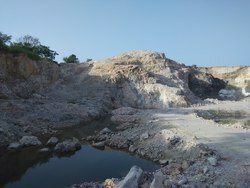 Our Product range includes Minerals like Feldspar, Quartz, Talc, China Clay, Kaolin, Dolomite, Marbles & Stones, etc. We have always delivered Best Quality with Most Competitive Rates, with our Dedicated Team Management we provide the Best Quality Products all over the World. Our dedicated R&D and production teams maximize the properties of our industrial minerals: ball clay, feldspar, kaolin, quartz and talc. We provide our customers with a competitive edge. Shanu Mines is present in Europe, the Middle East, Asia and the Americas, accompanying customers to successfully achieve their development strategies. For us, quality is a promise that we deliver at all levels. It satisfies customers and re-affirms our culture of delivering precision to further assure our clients of our international quality standards. Our Quarries have backed us with Export Quality Materials which give the thrust to reach new customers. We believe in having not just one order, but a string of orders from our Clients. That’s the reason why, every order is carefully serviced by us. We are Consistently Looking out for New Business Partners & Clients, so as to cater as many Clients as we can. with Our Stiff Quality Standards and Timely Delivery. Our infrastructure is spread over 200000 Sq foot area. 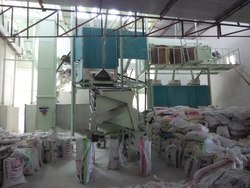 Having total of 7 Ball Mill units and 2 Grains plant. We also have our own Mining and stocks of A grade Raw materials for coming 30 years. Comprising production managers, engineers, administrators, quality controllers, sales &marketing personnel, our team of experts forms the strength of our organization. Backed with experienced and talented technicians, our multifaceted team is well versed with every aspect of production and other processes. Specialized in respective domains, our highly pro-active workforce assists us in meeting the diversified requirements of our clients. Thus, their dedicated efforts and desire to work as a team have contributed immensely to the success of our organization. We have a state-of-the-art manufacturing facility, which has enabled us to cater to the ever rising demands of our clients. Our advanced manufacturing unit comprises modern production equipment as well as upgraded technologies that allow us to fabricate the products in an efficient manner. We possess a wide assortment of requisite machinery & equipment which are updated time to time. To assist us in an effective production process, we have an adept team of professional including well experienced and highly qualified engineers. Optimum utilization of available resources ensures production of bulk products in the quickest possible time period.